If you have a credit score of below 660-620 on the FICO scale, then most lenders consider you a buyer with poor or bad credit. In financial lingo you are a "subprime" buyer. Having a poor or bad credit score means that you will pay a higher interest rate on any auto loan than buyers with good to excellent credit. That's true even with the best lenders. Because buyers with poor credit fear that they won't be able to get any auto loan, many subprime lenders use that fear to charge the highest interest rate legally allowed. In addition, they often pressure borrowers to sign for a long-term loan of six or seven years and more, and highlight lower monthly payments rather than the higher total cost of the loan. Many will insist that borrowers with bad credit must take add-ons such as extended warranties or credit insurance (even though these are not legally required). If you are fearful and think you'd be happy to get any loan, you will fall into these expensive traps. The following approach can help you avoid these pitfalls and get an auto loan you can afford even though your credit is poor or bad. The best approach is to take time to improve your credit before you start shopping for a new car. Unless your current vehicle requires repairs that are too expensive or has absolutely died, then taking six months to a year to improve your credit score will enable you to buy more vehicle while paying less interest on an auto loan. But for this report, let's assume that you have no choice but to get new wheels. You may think your credit is bad, but you won't know unless you check your credit score. One of your credit cards may provide your current credit score for free, or you can buy it for a modest fee when your request your free annual credit report (see below). Your credit score is based on information contained in your credit report. To ensure that your credit score is accurate, check your credit report carefully for errors and have any errors corrected. Go to www.annualcreditreport.com to request your free annual credit report (as mandated by federal law) from each of the three big credit reporting agencies, Equifax, Experian, and TransUnion. Before you identify a vehicle you like or start shopping for a loan, you need to have a rough idea of how much money you can afford to spend on buying and driving a vehicle. If, like most people, you think you can afford any vehicle if you can afford the monthly payment, you are about to dig yourself into deeper financial trouble. A monthly payment doesn't buy a vehicle; it buys a lump sum of money. How much money your payment buys also depends on what interest rate you pay and how long you finance for. Because your credit is bad, you will pay a higher interest rate, than if you had good credit. Borrowing for a longer term also raises a loan's interest rate. So plan to finance for no more than 48 months for a used car or 60 months for a new car. Don't forget that in addition to making a loan payment, you also have to have money for gas and regular maintenance. Lenders also expect borrowers with poor credit to have a down payment. One thousand dollars is often suggested as a minimum. Cash is better than equity in your present vehicle. Estimate your budget this way. What down payment do you have? _______ Cash (plus any equity in your present vehicle). To estimate this figure, use our auto loan cash calculator. Using your proposed payment, calculate how much cash your payment will buy at 14% for 60 months for a new vehicle and 16% at 48 months for a used vehicle. Depending on your individual situation and lender, you may be able to find a loan at a lower APR, but these interest rates are adapted from recent averages for all borrowers with bad credit. Don't start shopping online or at a dealership for an actual vehicle. In this step, you only identify models that meet your needs and budget. A used vehicle with a record for reliability will represent the best value for most buyers with poor credit. Consumer Reports' list of best used car values may help you identify some models.Have your list handy when you apply for a loan because many lenders will wish to see what type vehicle you intend to buy. Yes, the next step is to shop for your best financing opportunity before you shop for a specific vehicle. Start with your credit union. Overall, credit unions offer very competitive auto loan rates. In many cases their rates for used cars are much lower than many other lending sources. Many credit unions will also make loans on older used cars than other lenders. A recent pay stub, to verify your income. Also note how long you have been employed at this job and take the phone number of your employer in case the lender wants a reference. A recent utility bill. This confirms your current address, in addition to your driver's license. Be prepared to say how long you have lived in your residence and whether you own or rent. Lenders take stability into their decisions. If the credit union approves a loan for you, you are ready to shop for an actual vehicle. You also have an approved loan with terms that you can compare to other offers you may receive. If the credit union is unable to approve a loan, ask what credit factors you need to improve. You can also use the information you gathered to apply for a loan with your bank or with a dealership. If one lender turns you down, try others immediately. Multiple credit requests made in a short time (such as 14 days) for one thing, such as an auto loan, will not lower your credit score further. Tip: Avoid specialty subprime lenders and "buy here, pay here" sales outlets. Although there are multiple lenders who specialize in subprime loans (many online), you can expect to pay higher rates, often much higher. Also the less reputable may pressure you to sign up for longer terms and to buy add-ons (such as extended warranties and credit insurance) that you don't need. If you absolutely must buy a car and such a lender is your last resort, negotiate for the best terms and plan to refinance with the credit union when you have a track record of 6 to 12 months of paying on time. 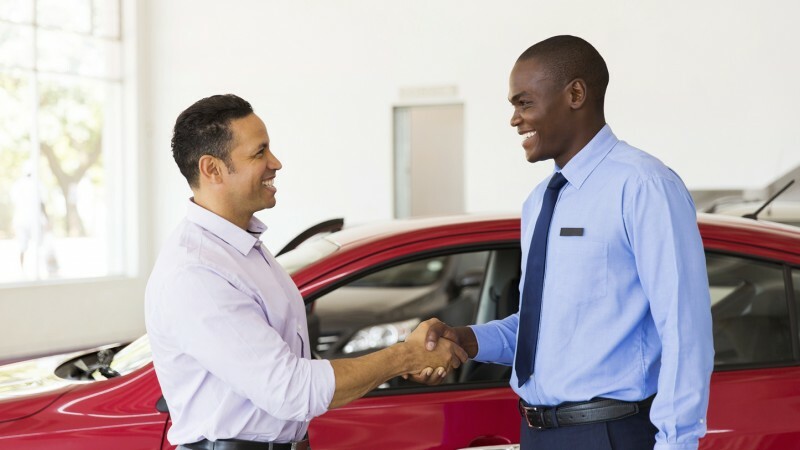 When you have an approved loan in hand, you are ready to shop for a specific vehicle. Look for specific vehicles online at local dealerships. If you are buying a used vehicle, be sure to use the VIN number to check the vehicle's history, using a service such as CARFAX. In addition, have an independent mechanic or diagnostic service check out the vehicle. Bad Credit Does Not Equal "No Hope"
Just because you have poor credit and are fighting to rebuild it, don't assume that you cannot qualify for an affordable car loan. Get your facts together, build a potential budget, and talk to your credit union first. They can help you make decisions that are right for you. Consumer Reports offers extensive information on used and new cars. Online subscription is $$.